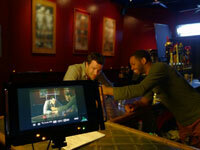 WaveCrest Entertainment also specializes in professional video and film production. The short film Catharsis was officially selected for the Garden State and Hoboken International Film Festivals. Check out our company blog for updates!